Most people have only one vague idea of the power that’s in investing when it comes to their finances; the more you put in, the more you will get out. While that is not entirely wrong, even if you are investing in something great, you are severely limiting what will come back to you if you are barely putting anything in. Just yesterday I was in a meeting with a great entrepreneur who was a pleasure to listen to. Of many lessons learned in the short conversation, one that really stood out was his advice on the power of investing. He was a big fan of what we are doing at Kahuna with our accounting services because, as a business owner, he liked investing in relationships. He doesn’t want to invest in the day-to-day tasks of bookkeeping, and if our service could allow him to invest where he was most needed, it would be a great value. I spent more time after the conversation thinking about what we invest in. There are many important things that go into running a business and running a life, and we can’t invest in all of them. We have to be wise and intentional about the things we invest in. 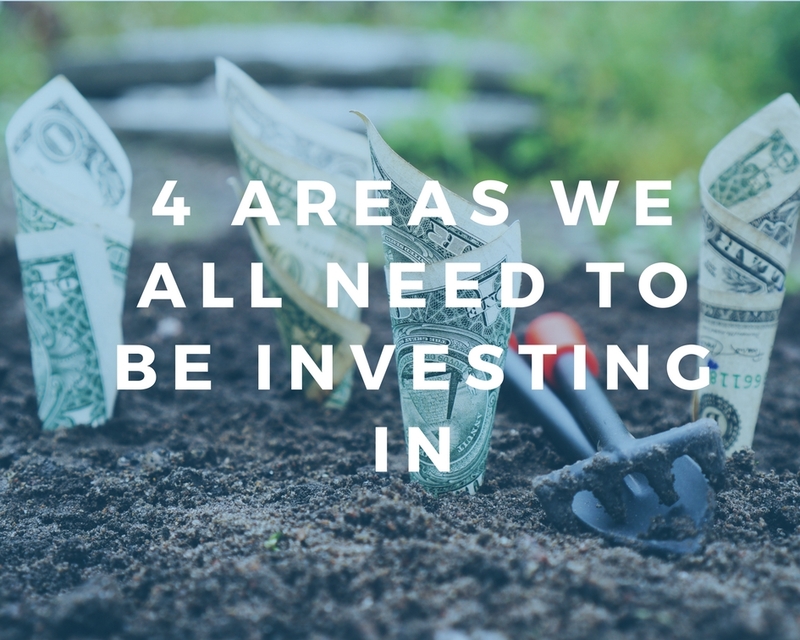 There are 4 areas we all need to be investing in. As a business owner, his greatest value to the community is to build relationships. Relationships are where business opportunities come from – not sitting in an office. And as a business owner, it’s crucial to be able to get out and meet others and to create those internal relationships within the staff. 2) Invest in where you are strong. We all have very limited time on our hands, so it’s important that your energy is spent focusing on what you are best at. If you struggle with something, do everything you can to find another option for taking care of that task. It’s not that you’re above the task or are getting out of something – it’s that you are choosing to invest where you are most needed. 3) Invest where you provide the most value. This sounds similar to investing in strengths but is actually different. I might be really good at something, but that also may not add any value to the business. Think of the 80/20 principle, which says essentially in everything that 80 percent of the results come from 20 percent of the effort. As an entrepreneur, it is essential to find those areas that when you pour into them, they produce the most results. As you think about where to invest, evaluate what will bring results. All these things are meaningless if you are still miserable. Above all, be sure to take the time to invest in what matters most to you. You can’t trick life. Where you invest is where you will get results. If your family life is suffering, if your health is off track, if you hate what you’re doing, it’s time to look at where you are investing. Decide what you really care about. Decide what matters most. And decide what results you want to see in your life and business. Then make a deliberate effort to invest in those areas, and you’ll be much more likely to see the results you want! Interested in learning more about how to get the most from investing in these areas? Schedule a strategy call with Kahuna Accounting and we can discuss best practices for investing in yourself and your business! The Importance of Budgeting Your Expenses. A division of Kahuna Business Group.